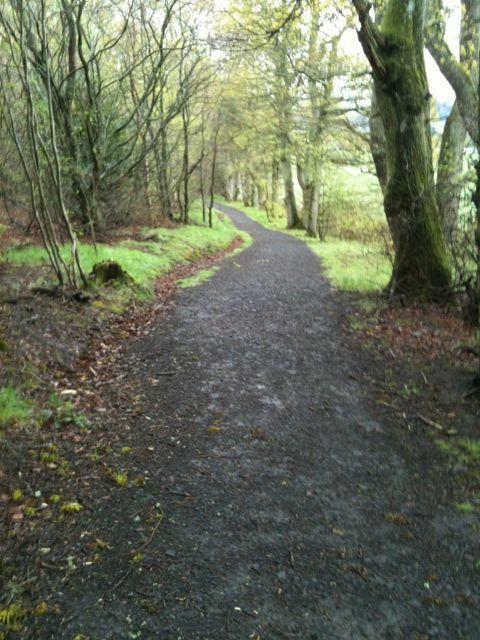 Public Transport: Buses run to Dunning, which is 0.75 miles from Kincladie. See http://www.travelinescotland.com/ for more. 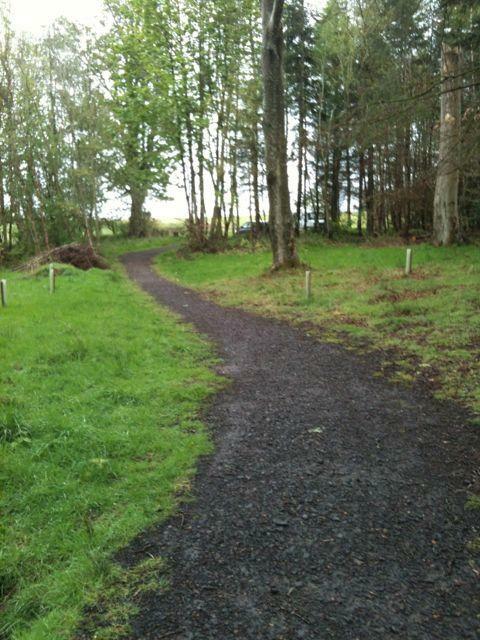 Barriers: The path narrows to 90cm between two large stones at the entrance to the wood. 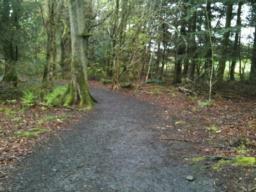 The path is more than 100cm wide elsewhere. 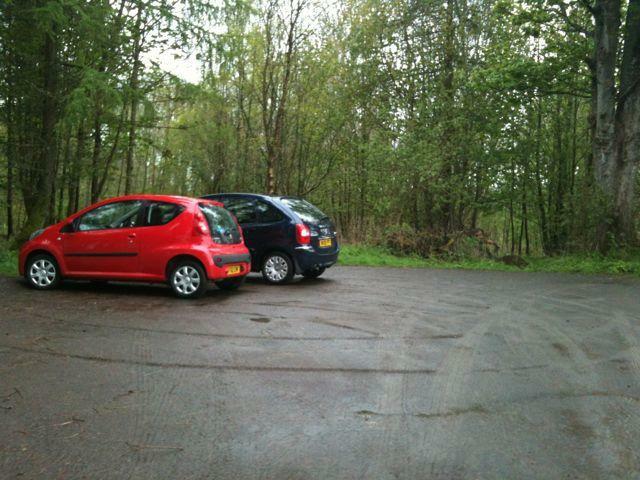 The free car park has a whinstone surface which is well compacted. 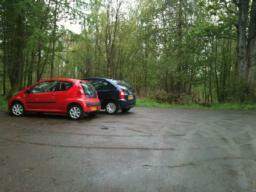 There is room for up to 5 cars. 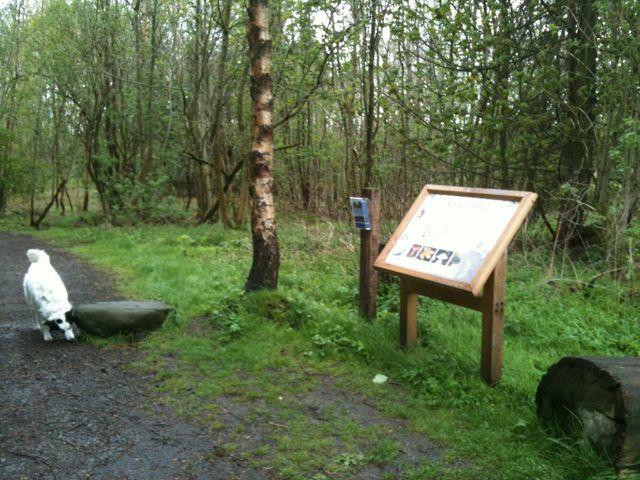 There's an information board with leaflets to take away. 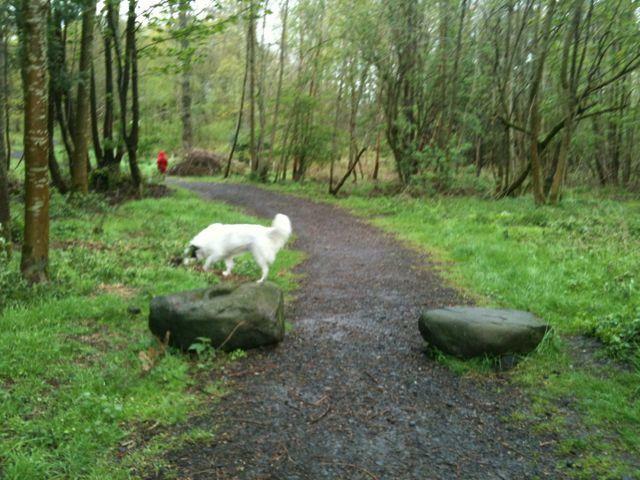 Two stones mark the entrance to the wood. Path narrows to 90cm between these stones. 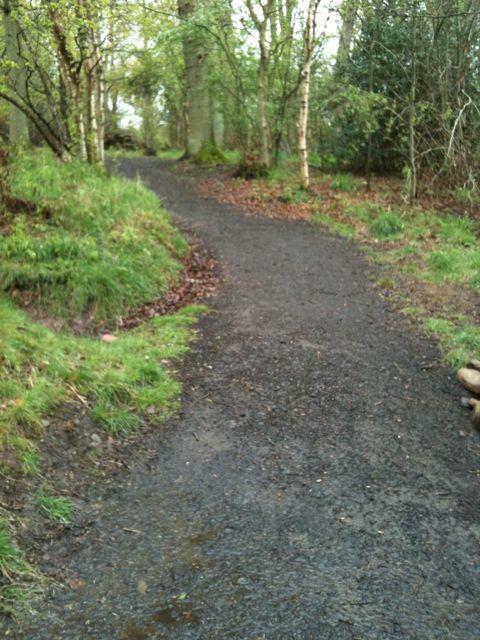 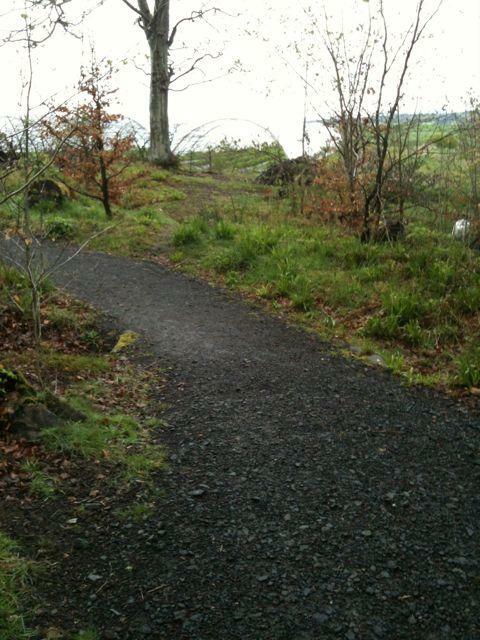 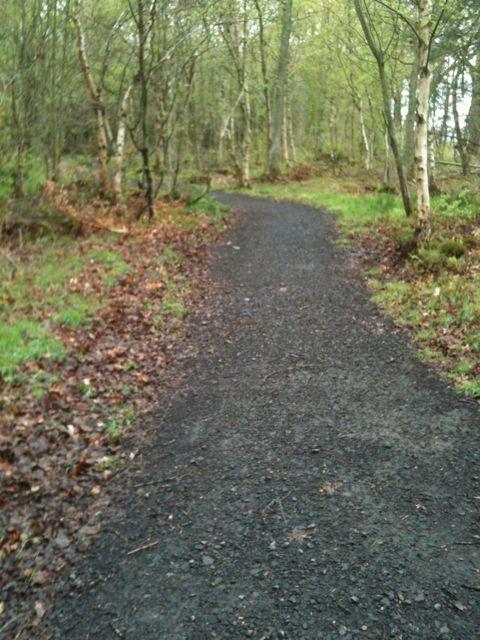 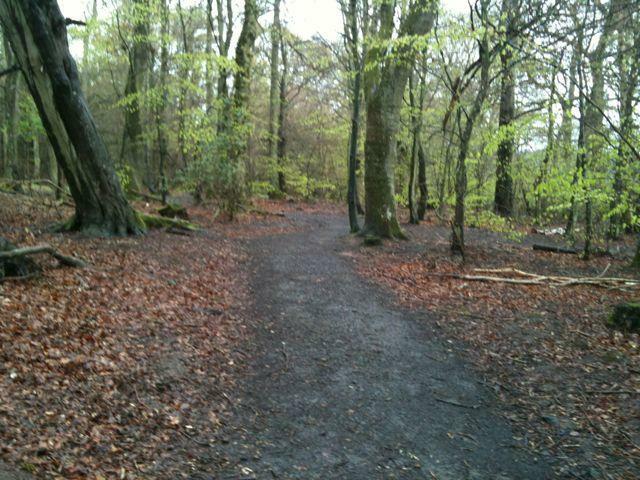 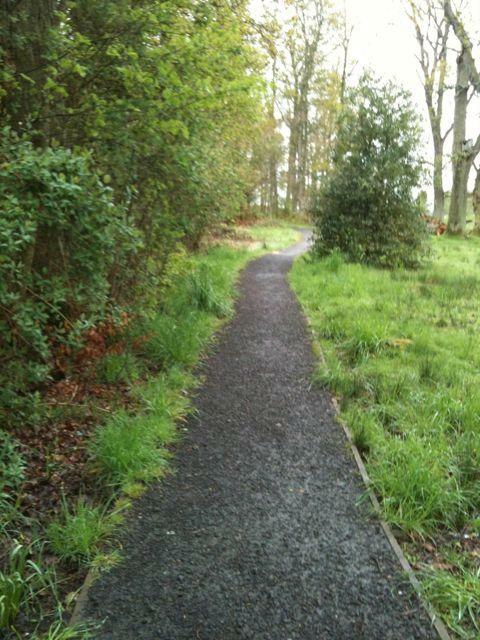 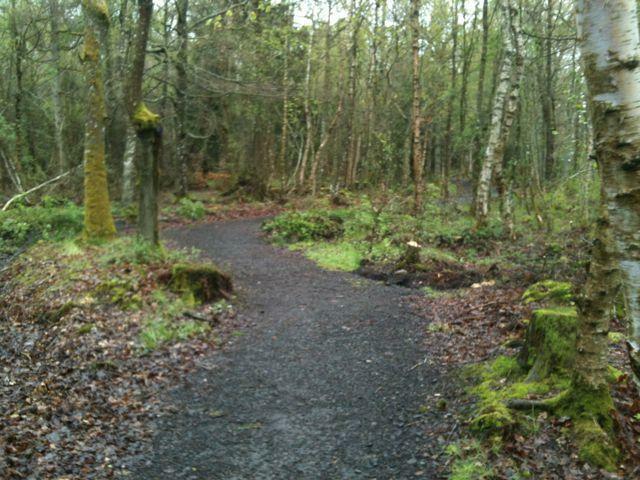 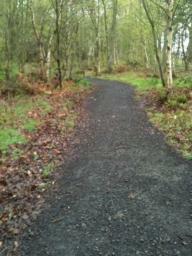 Path surface is whindust and loose gravel with some larger exposed stones and occasional twigs or leaf litter. 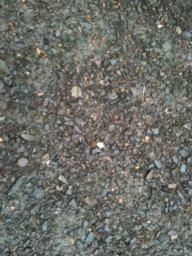 There is an intermittent cross gradient of 2%. 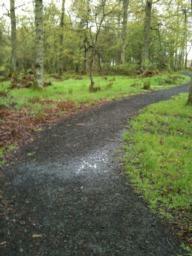 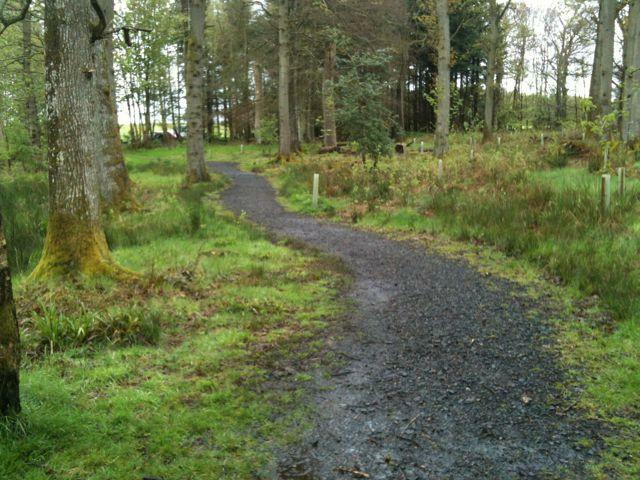 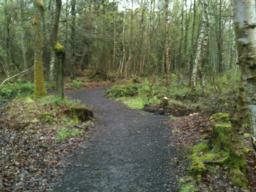 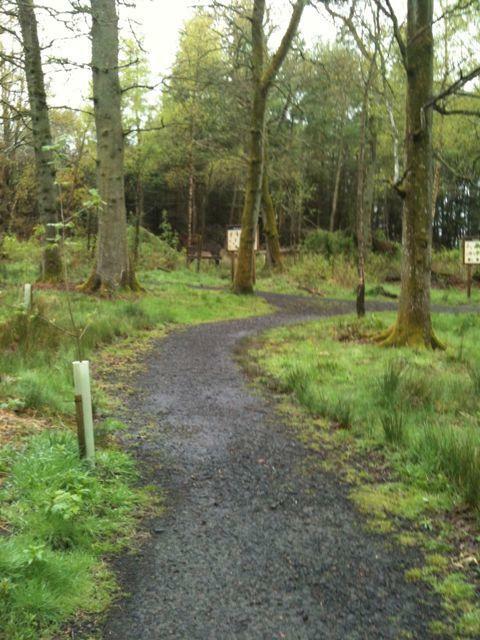 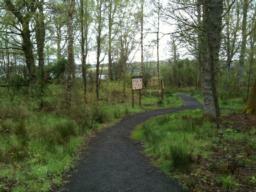 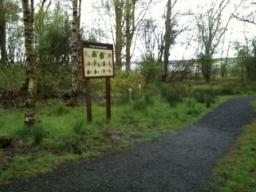 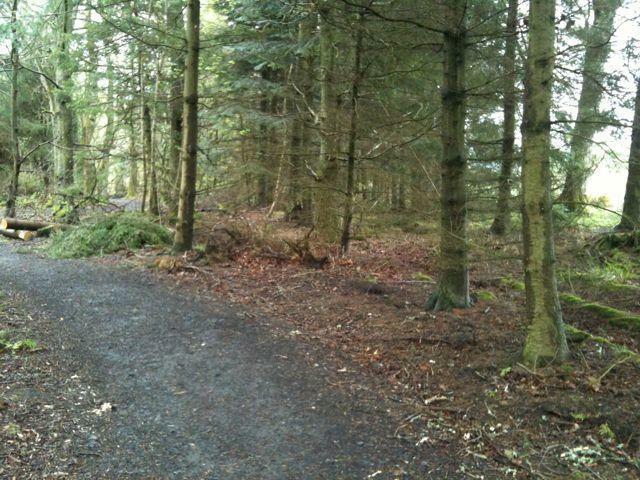 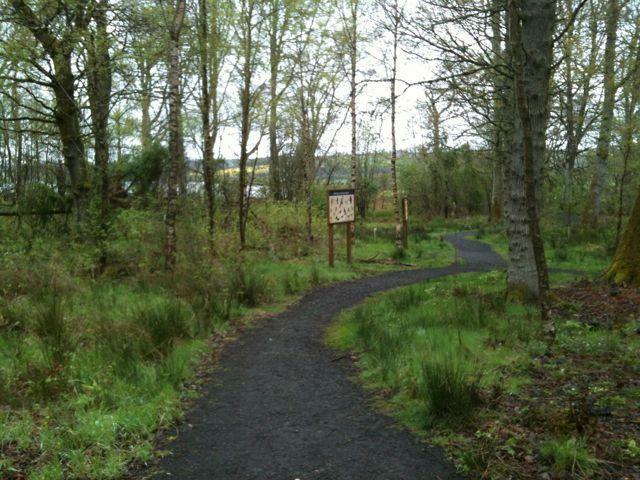 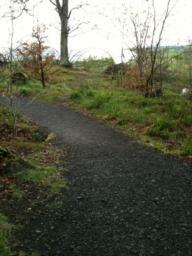 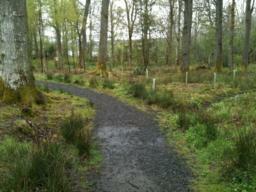 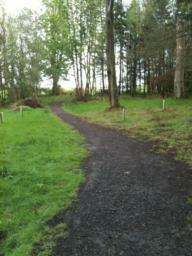 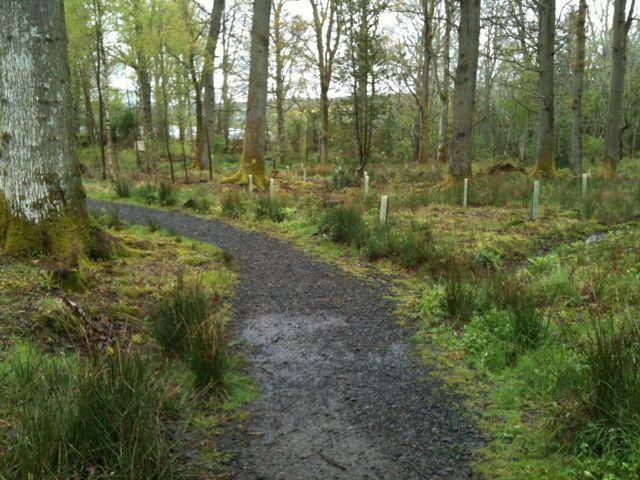 Lots of young native trees such as rowan have been planted to the left of the path here. At the first junction go right. 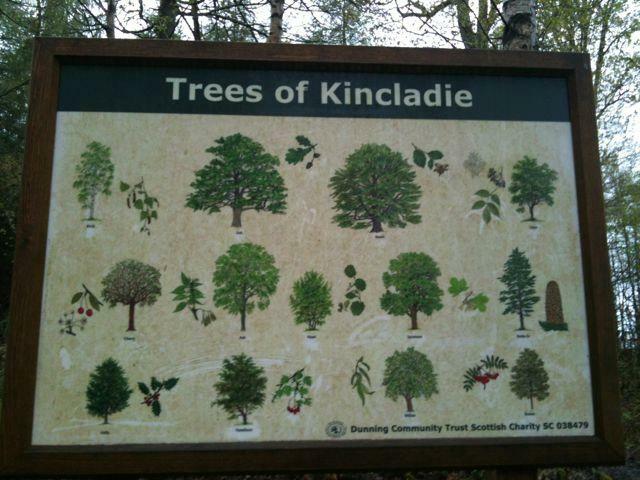 There's a tree information board on your left. 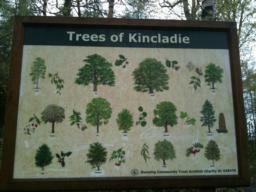 There's a pleasant mix of broadleaf and conifers at Kincladie. 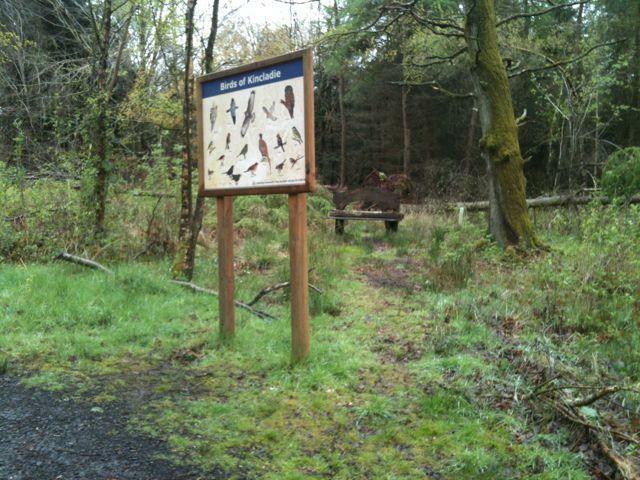 This board will help you identify different species. 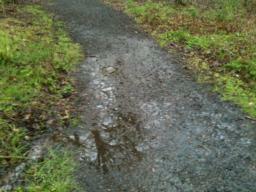 Parts of the path had large muddy puddles when we visited. 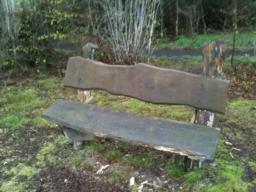 Wooden bench, just left of the path. 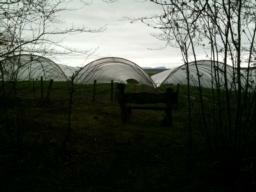 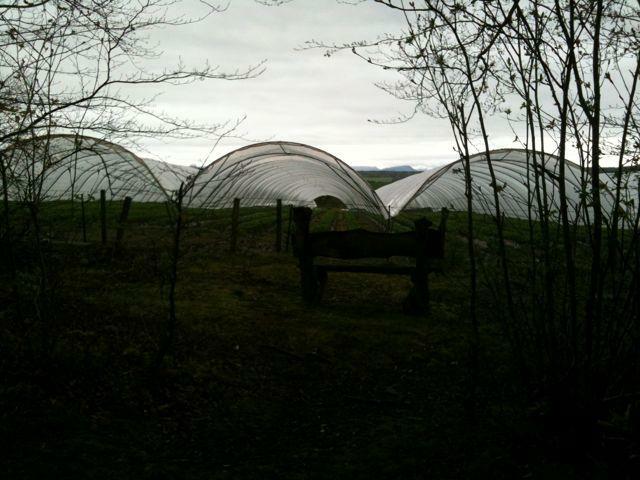 Fields on your right - strawberries! 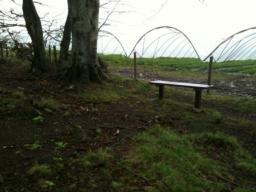 This bench overlooking fields is 6m from the path over uneven / lumpy grass. 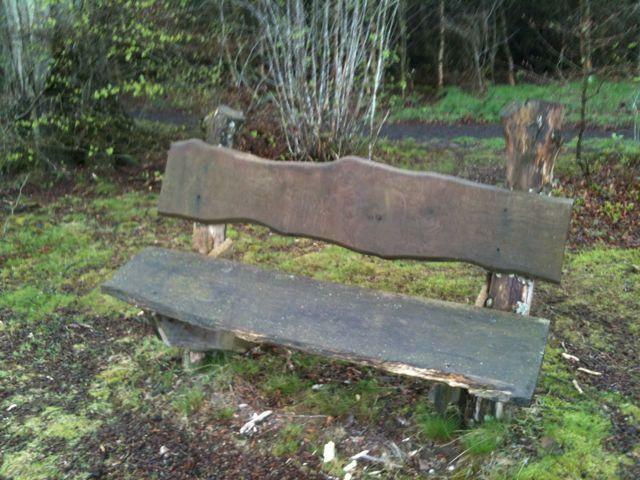 Linear gradient to bench is 10%. 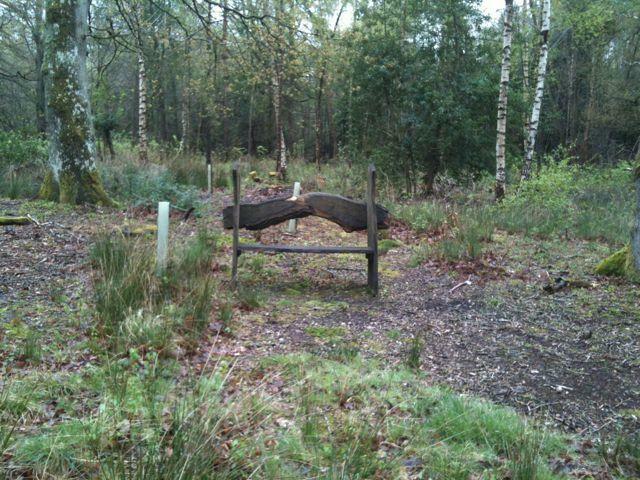 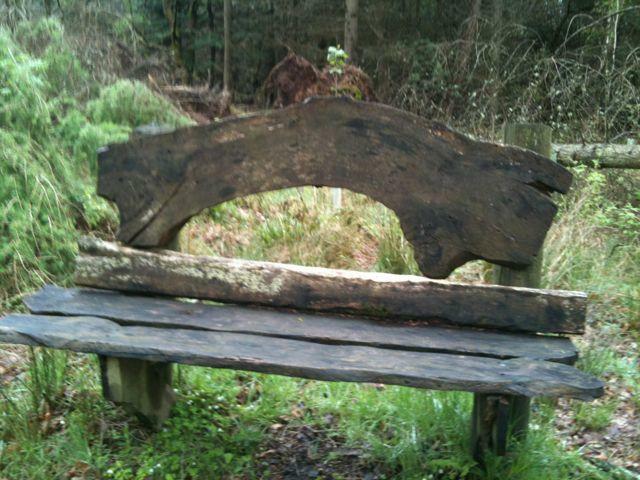 Another bench, 6m from the surfaced path over rough ground. 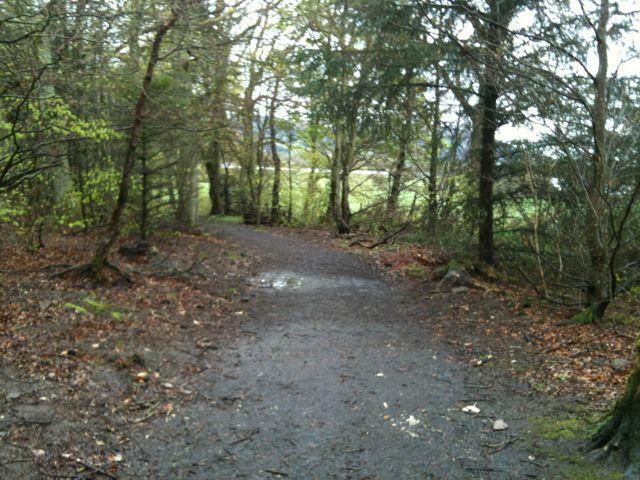 There is an 11% cross gradient to reach it. 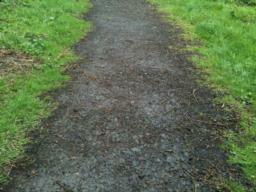 Maximum cross gradient is 4.5% and linear gradient is 10.1% for approx 15m. 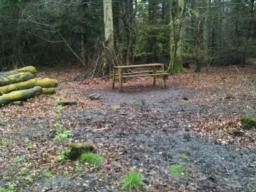 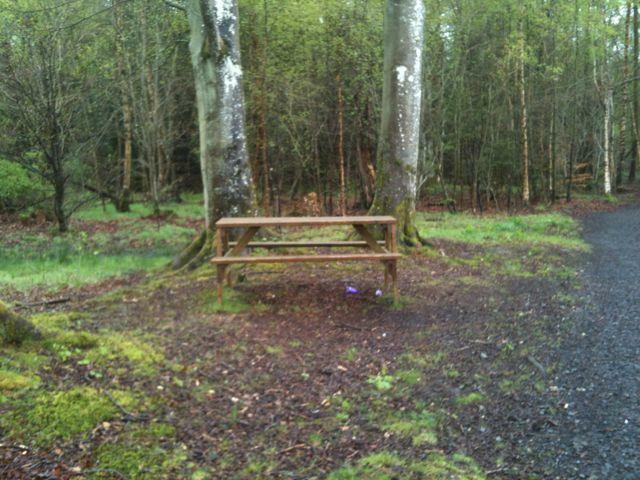 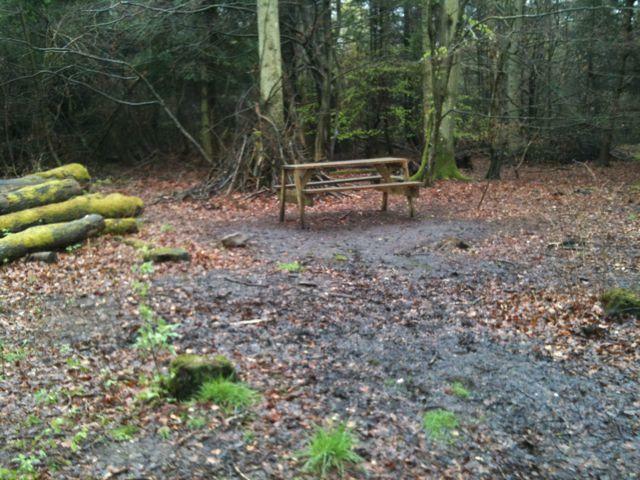 This second picnic bench is approx 12m from the surfaced path over muddy ground. The path heads downhill. 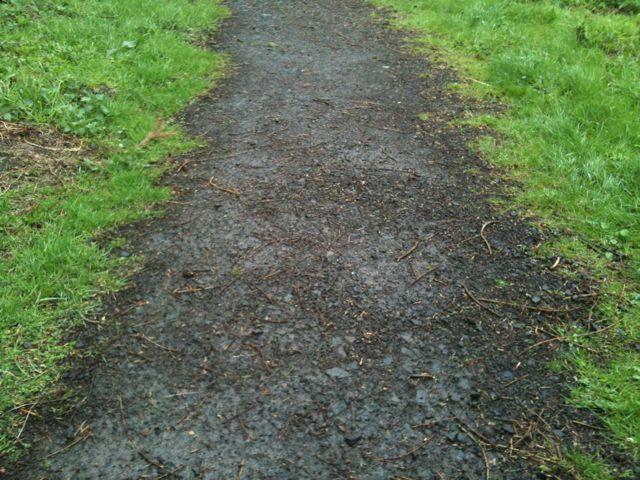 There is a linear gradient of maximum 10.3% for approx 40m. 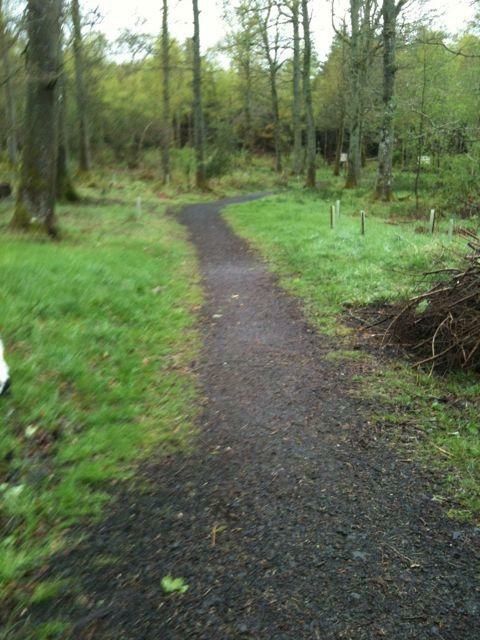 At the fork in the path, go left. 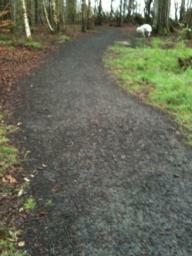 Path surface here is 110cm wide and compact with little mud. 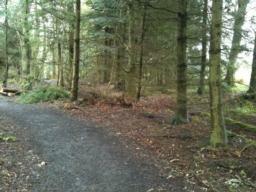 Main road on your right hand side. 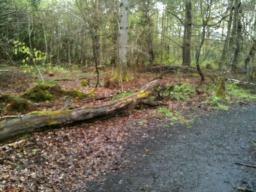 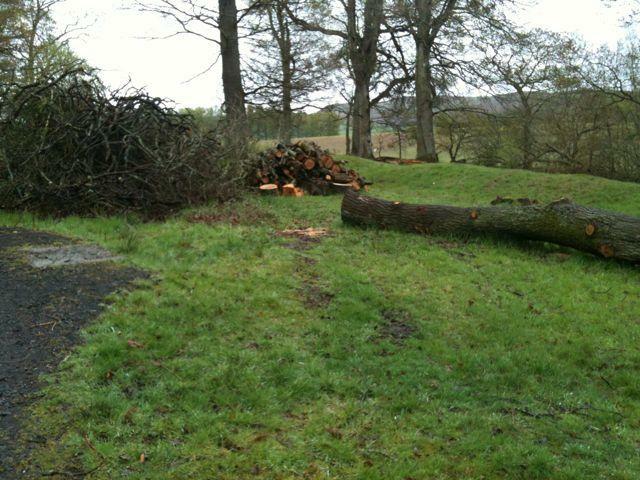 Felled trees offer resting points - these are 5m off the path over grassy surface. Cross gradient varies but maximum is 3.2%. 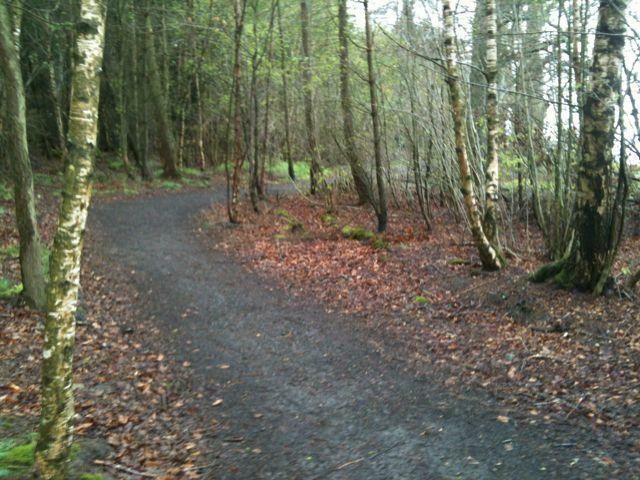 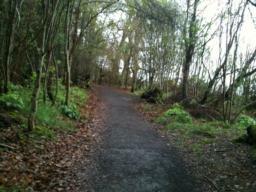 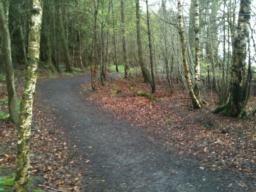 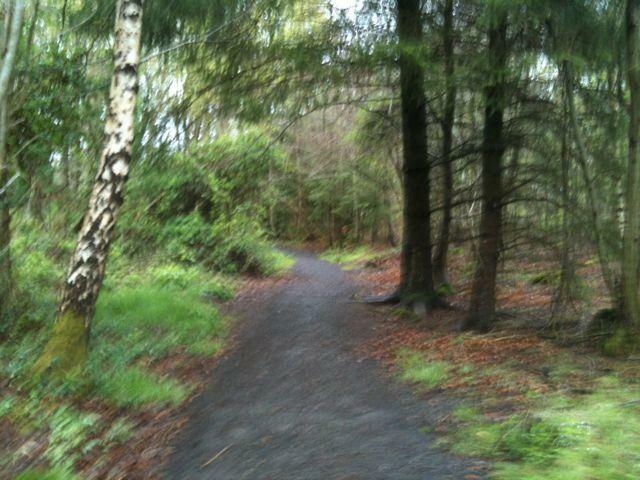 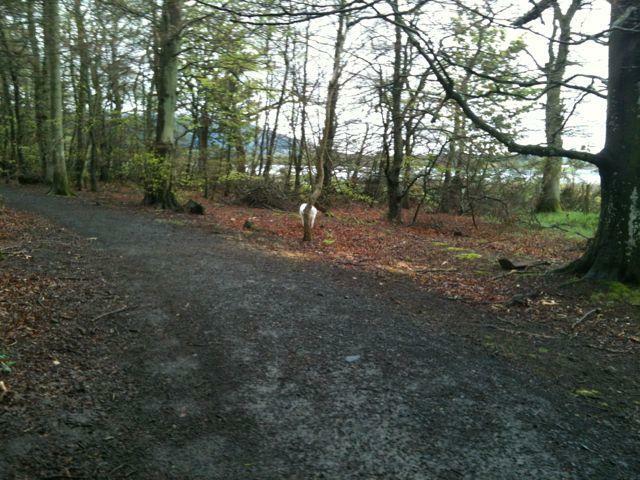 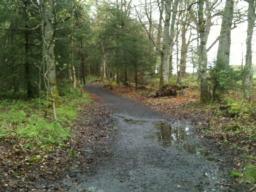 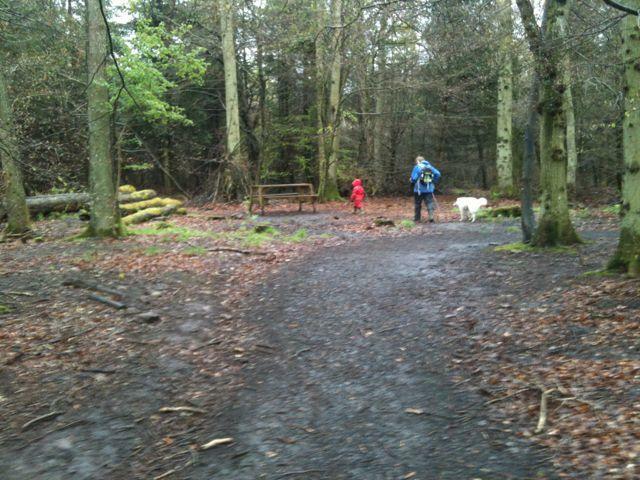 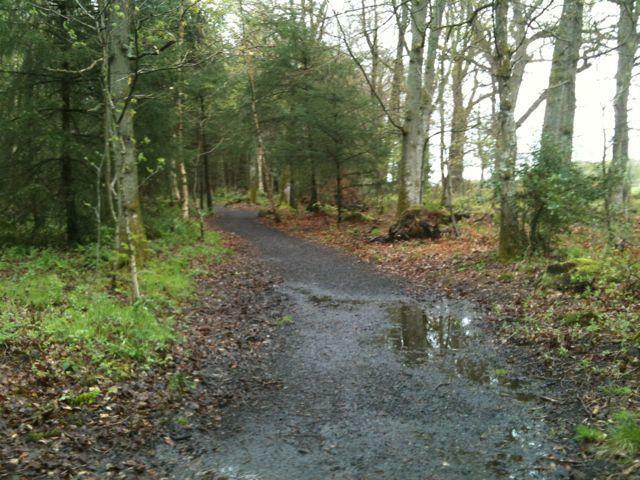 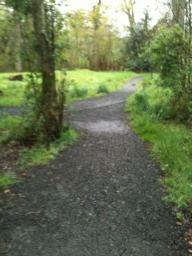 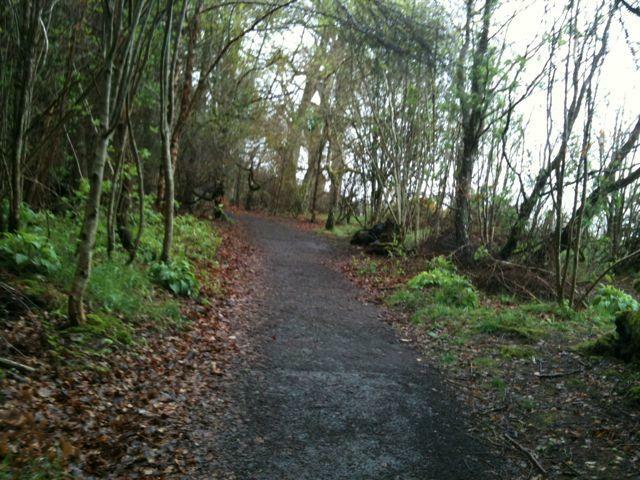 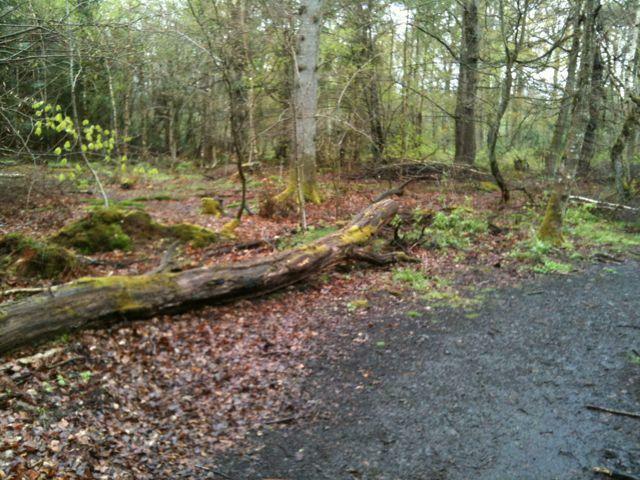 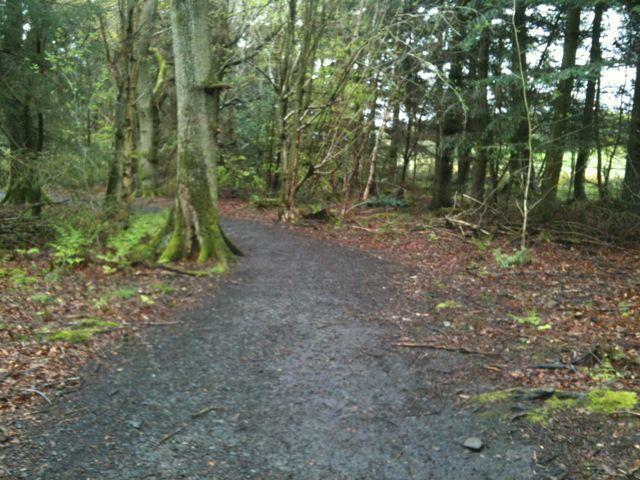 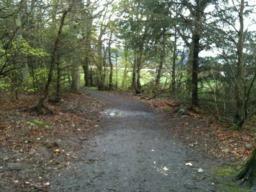 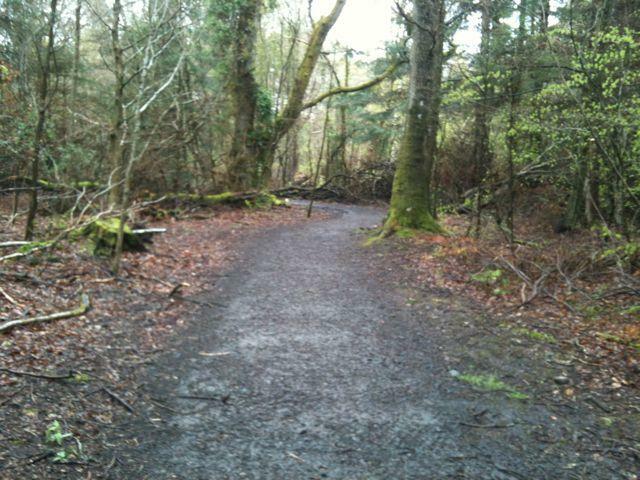 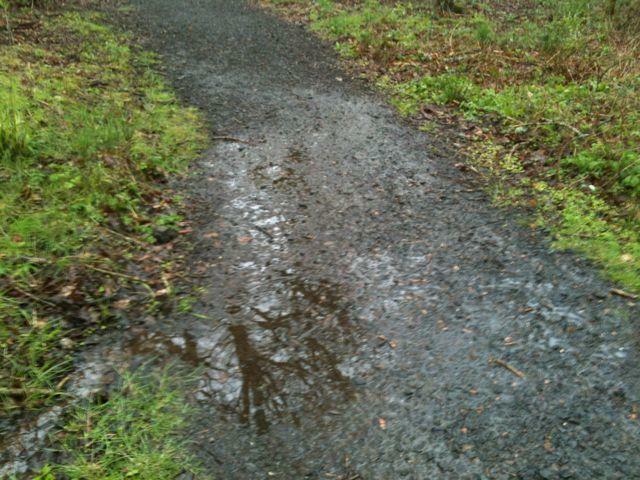 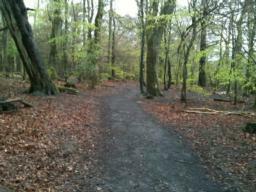 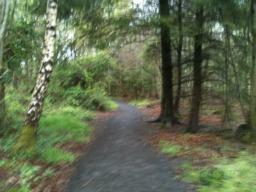 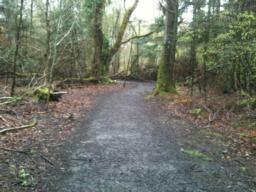 The path on this section varies in width but is not less than 100cm - though there are puddles. 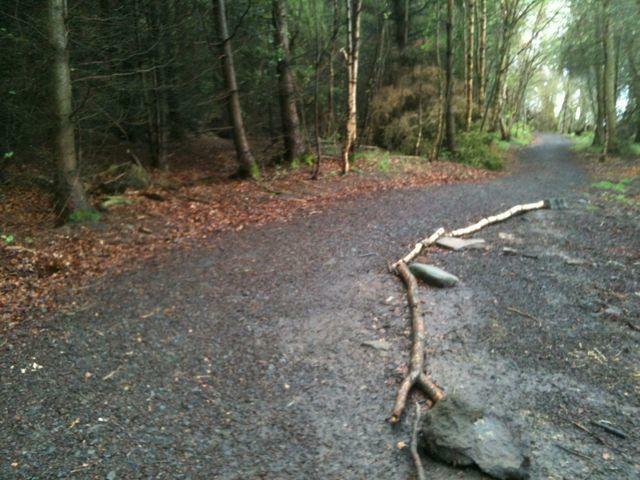 Convenient resting log right by path. 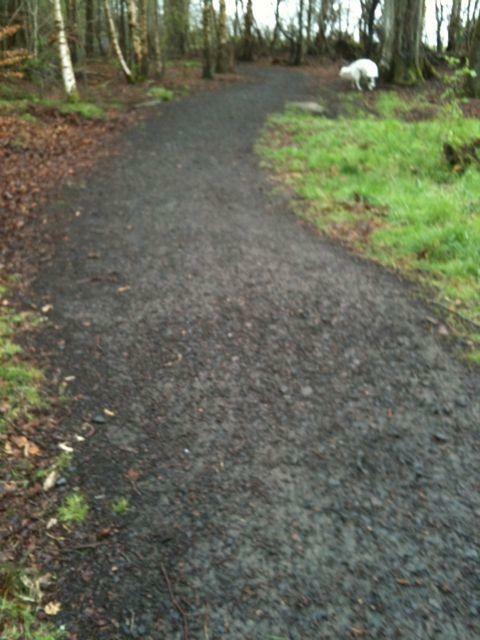 Slightly larger gravel stones make up path surface here.